Nigeria coach, Stephen Keshi has revealed that he will step down from his post as Super Eagles coach after they lost to France 2-0 which eliminated them from the 2014 FIFA world cup. Keshi told his players in the dressing room and also revealed it to the journalists in the mixed zone at Brasilia. 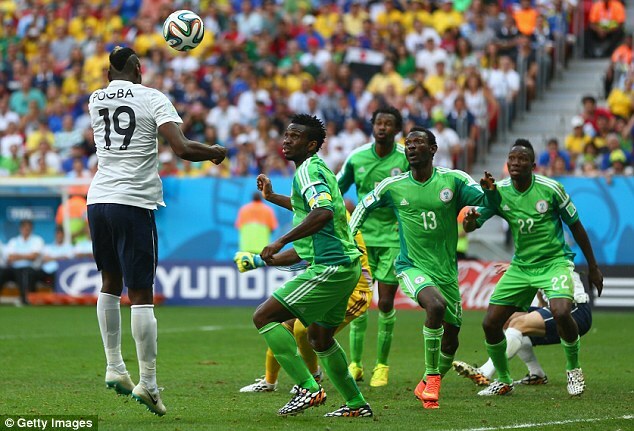 This happened after Nigeria lost to France 2-0 and failed to surpass their second round record at the world cup. The Super Eagles, who had initially looked the more vibrant and incisive of the teams, could count themselves a little unlucky, not least their impressive goalkeeper, Vincent Enyeama. He has been one of the outstanding players and characters of this tournament and his excellent form continued here at the National Stadium up until the 79th minute, when his handling error allowed Pogba to head what proved to be the decisive goal. Then Joseph Yobo who was most likely playing his last game for the eagles scored an own goal to make it worse for the African champions.